(Chicago) – For people in need of addiction treatment, and for families struggling to find help for a loved one, the barriers can be overwhelming. Desperation can lead families to fall prey to unsavory treatment marketing practices, reported Alison Knopf in the June 13 edition of Alcoholism and Drug Abuse Weekly. The issue’s lead article describes how a Florida treatment center targets Illinois patients who have out-of-network insurance, which has no contract-based cost limitations. “These are predatory marketing tactics,” said Peter Palanca, executive vice president and chief operating officer of TASC, based in Chicago. “I don’t think there’s any question about that,” he told ADAW. “To prey on families who are scared to death, grasping at straws, terrified about their son or daughter dying” is wrong, he said. Knopf also spoke with Illinois experts Kathie Kane-Willis, director of the Illinois Consortium on Drug Policy at Roosevelt University; Jud DeLoss, external counsel for the Illinois Alcoholism and Drug Dependence Association, and Phil Eaton, president and CEO of Rosecrance, all of whom expressed concern over certain business models and tactics that take advantage of uninformed consumers. The treatment center in Florida, for example, employs a full-time Midwest outreach coordinator, making Illinois the center’s main referral source. Common barriers to entering treatment can be external influences, such as lack of access, funding, or time, or internal factors, such as stigma, depression, and personal beliefs. These barriers may be compounded by variables such as insurance coverage, geography, race and ethnicity, gender, age, and other factors. Misinformed expectations about treatment also contribute to people not getting to into treatment, or not getting the treatment that works for them, said Rodriguez. “The biggest misconception about treatment is that it’s going to magically fix you,” she said. “People often have wrong expectations about what’s going to happen as a result of going to treatment. You don’t go to treatment to get fixed. You go to treatment to learn entirely new ways to live your life. And that can be scary and difficult. The Illinois Department of Human Services, Division of Alcoholism and Substance Abuse publishes a county-by-county list of substance use disorder treatment programs. Nationwide, call or visit the Substance Abuse and Mental Health Services Administration at 1-800-662-HELP. (Chicago) – April 2016 marks the third anniversary of Cook County’s groundbreaking jail-based Medicaid application project, through which people detained at the jail have received assistance in applying for health coverage. Some 15,000 detainees have gained Medicaid coverage since 2013, making Cook County’s initiative the nation’s largest and most ambitious projects of its kind to date. Most of the 11 million admissions to local jails in the U.S. each year—646,000 are detained at any given time—represent people who have untreated medical and behavioral health issues, perpetuating cycles of arrest and incarceration. With health coverage, they have the means to access care in the community, which is far less expensive than corrections-based care and emergency rooms—the predominant healthcare options for uninsured people prior to Medicaid expansion. 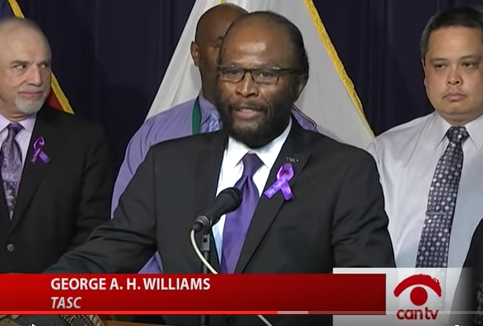 What’s happening in Cook County is occurring in many counties and jurisdictions across the country, as local governments seek to reduce the cost burdens of corrections and emergency care, and ultimately improve public safety and public health. Since Medicaid expansion came about as a result of the Affordable Care Act, TASC (Treatment Alternatives for Safe Communities) has been working with partners in Cook County and across the U.S. to bring aspects of this national public policy from concept to local implementation and results. Before Medicaid expansion, nine out of 10 people entering jails lacked health insurance. At the same time, justice-involved populations have high rates of substance use disorders, mental health conditions, and chronic medical conditions requiring treatment during detention and immediately after release. For decades, large and small counties have struggled to meet these needs with very limited resources. The expansion of coverage to low-income adults provides new and welcome means to address this perennial challenge. Cook County has been a national leader in implementing processes for Medicaid application assistance at the jail, having obtained a waiver in 2012 for early expansion of Medicaid. Transformation has come about through coordinated planning and collaboration between the Cook County Health and Hospitals System, the Cook County Sheriff’s Office, and TASC, aided by significant public and private support from the Cook County Justice Advisory Council, The Chicago Community Trust, the Michael Reese Health Trust, and the Polk Bros. Foundation. Building on the Cook County experience, the Center for Health and Justice at TASC works with counties and states to leverage available federal health care funding in order to create linkages to care, divert people from the justice system, and improve individual and community health. To these ends, and in partnership with the National Association of Counties, TASC provides national consulting, which also is supported by the Open Society Foundations and the Public Welfare Foundation. States such as New Mexico and Indiana have passed legislation that enables or requires state and county corrections to facilitate applications. These states are leading the way in building statewide infrastructure and processes that institutionalize access to coverage and care for people under justice supervision. Building jail diversion projects that take full advantage of these new health care services. (New York) — Laura and John Arnold Foundation (LAJF) has announced a grant to a team of researchers at Johns Hopkins Bloomberg School of Public Health and Harvard Medical School to study the Affordable Care Act’s (ACA) impact on public safety. The project will examine innovative programs focused on providing formerly incarcerated individuals with access to medical, behavioral health, and social services under the Affordable Care Act (ACA). “Our aim is to identify possible links that may help to explain whether improved access to health care can contribute to a reduction in crime,” said Haiden Huskamp, a professor in the Department of Health Care Policy at Harvard Medical School. Dr. Huskamp is leading the study along with Colleen Barry, an associate professor and associate chair for Research and Practice at Johns Hopkins Bloomberg School of Public Health. An inventory will be produced as part of the overall Hopkins/Harvard study and will be available at the end of the calendar year. The research will include an in-depth study of a unique partnership in Illinois between the Cook County Health and Hospitals System, the Cook County Sheriff’s Office, and TASC (Treatment Alternatives for Safe Communities), with the location being inside the Cook County Jail where thousands of individuals who are exiting the jail have been signed up for Medicaid coverage. People involved in the criminal justice system often have extensive health care needs. More than two thirds of jail detainees meet clinical criteria for substance dependence or abuse, and 14.5 percent of men and 31 percent of women entering jail have a serious mental illness. Yet, studies find that the overwhelming majority of people leaving jail – 80-90 percent – do not have health insurance. New health care options under the ACA will allow many of these individuals to receive coverage. “The goal of this project is to learn everything we can about how the ACA is being used nationally to make our communities safer and to improve public health,” said LJAF Vice President of Criminal Justice Anne Milgram. Dr. Barry emphasized the importance of conducting in-depth studies of earlier innovator programs that are currently enrolling individuals exiting jails and prisons in Medicaid under the ACA, and developing ways to connect them to mental health, addiction, and other medical and social services in their communities. “Early programs like the Cook County partnership have the potential to improve population health and may lower crime, so it is essential to learn lessons from their experiences and to share insights with jurisdictions in other areas of the country considering initiating similar efforts,” said Dr. Barry. Research findings will be published in a peer-reviewed journal within the next year. (Chicago) – In 90 days, 342,000 low-income Illinois citizens will have access to health care, including many of those involved in the Illinois criminal justice system who require treatment for mental health, substance use, and medical conditions. 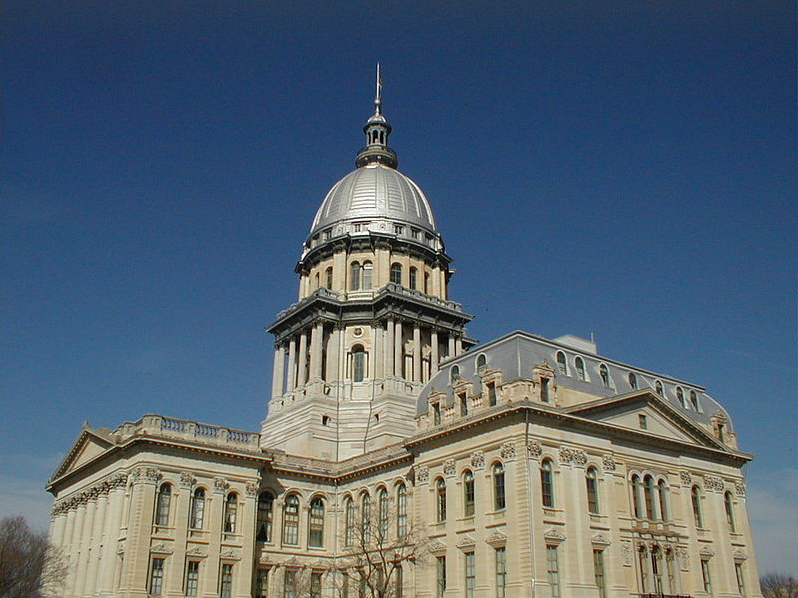 On July 22, Governor Pat Quinn signed legislation, Senate Bill 26, that authorized Illinois’ participation in the new national health reform law called the Affordable Care Act. As one of the outcomes of this legislation, starting on January 1, 2014, adults aged 19 through 64 with incomes below 138 percent of the Federal Poverty Level (about $15,400 per year for an individual and $20,000 per year for a couple) will gain access to Illinois Medicaid coverage. What this means is that uninsured, low-income adults—describing the majority of individuals in Illinois jails and prisons—will have greater access to treatment for substance use and mental health conditions that often contribute to their criminal behavior. Eighty-six percent of male arrestees in Cook County, for example, test positive for illicit drugs. Nationally, about a quarter of people in jail convicted of property and drug offenses had committed their crimes to get money for drugs. In addition to improving treatment access for low-income populations, the new law also answers a resounding public call: A Cook County referendum on state funding for substance abuse treatment passed overwhelmingly in 2004, with more than one million voters saying the state should pay for drug and alcohol treatment for any Illinois resident who demands it. A long time coming, the new health care law begins to answer this public demand by providing the means to fund treatment programs. Under the legislation, the federal government will pay 100 percent of the costs of the new Illinois Medicaid enrollees from 2014 through 2016. Starting in 2017, the match rate gradually will be reduced: 95 percent in 2017; 94 percent in 2018; 93 percent in 2019; and 90 percent in 2020. The share paid by the federal government for care in Illinois will never dip below a 90 percent. Even if the federal government were to change the law’s financing terms, Illinois’ share would never be more than 10 cents on each dollar spent on new Medicaid recipients. The legislation signed by Quinn includes language that would discontinue coverage if the federal government’s share of Medicaid matching funds drops below 90 percent. Illinois currently receives a 50 percent match from the federal government for health programs under terms of the existing Medicaid program. 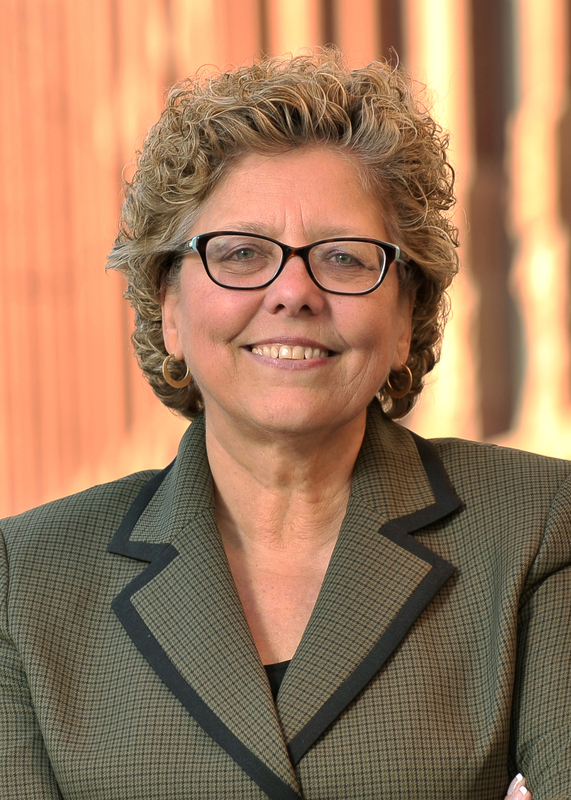 For individuals involved in the Illinois criminal justice system, the Illinois Medicaid expansion is critical, because they will be able to access adequate medical care and, equally if not more importantly, behavioral health care such as substance use treatment and mental health care, many for the first time, according to TASC President Pamela Rodriguez. Additionally, Medicaid cost controls outperform both Medicare and private health insurance. Nationally, the per enrollee cost growth in Medicaid is 6.1 percent, which is lower than the per enrollee cost growth in comparable coverage under Medicare (6.9 percent), private health insurance (10.6 percent), and monthly premiums for employer-sponsored coverage (12.6 percent). To help criminal justice organizations and agencies establish enrollment processes, the Substance Abuse and Mental Health Services Administration (SAMHSA) has launched an online toolkit entitled, “Getting Ready for the Health Insurance Marketplace.” This narrated presentation describes the health care law, explains how the Health Insurance Marketplace works, and provides communication ideas and materials from the Centers for Medicaid & Medicare Services (CMS) for use in increasing awareness and helping uninsured individuals apply for coverage.